That article is about Pond Fish That Are Neither Koi Nor Goldfish. In addition to the omnipresent Goldfish and spectacular Koi, there are other, often smaller fish that could be perfect for your particular pond. Rosy Red Minnow, Golden Orfe, White Cloud Mountain Minnow, and Mosquitofish are all possibilities. 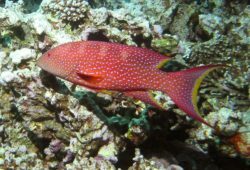 This fish’s ideal temperatures are 10-21C, but it can survive much lower temperatures. The Fathead Minnow overwinters in Canadian boreal lakes. That said, it tends to have a high winterkill. Rosy Red Minnows grow approximately four inches in length. They are naturally greenish, but there is a very pretty pinkish-gold variety, which is why they have two names. 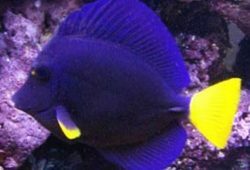 You may be able to find this fish in your local aquarium store, possibly as feeder fish. 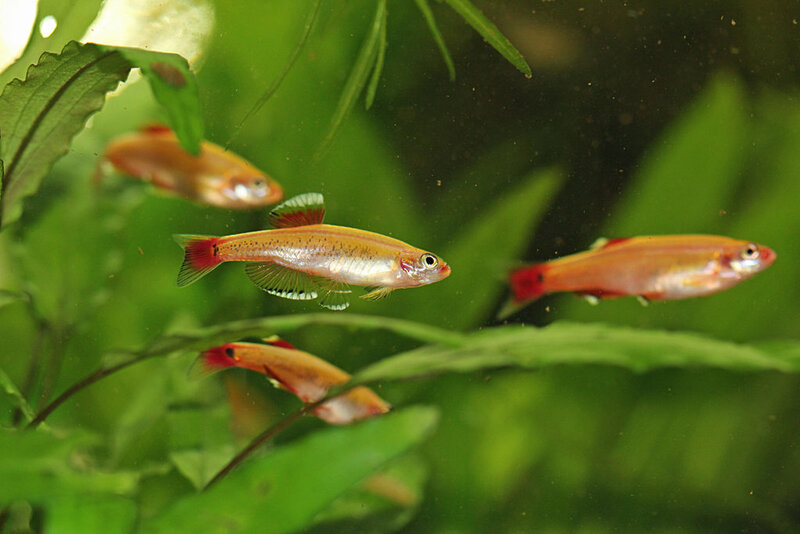 The Rosy Red Minnow can be a source of enteric red mouth disease for native european fish. Therefore, they should not be allowed to let them come in contact with each other. The Golden Orfe grows to approximately 18 inches in length. 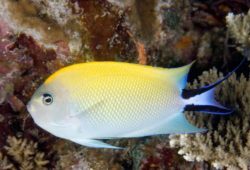 While Golden Orfe are very pretty fish, they need to be kept in a school of at least three. They are also fussier about water quality than Goldfish or Koi, which is probably why they are less often kept than either Koi or Goldfish. White Cloud Mountain Minnows only grow to 1.75 inches or less, making them the smallest of the fish discussed here. This fish is somewhat more sensitive to cold than other fish discussed here. It can survive down to 5C. Fortunately, their small size means that they can be moved into an aquarium for the winter without the sort of problems you would have doing the same thing with a large species like Koi. The White Cloud Mountain Minnow is native to streams and prefers clean, well oxygenated water. It would probably make an excellent inhabitants for ponds with a waterfall or streamlike section, or for fountains. The Mosquito Fish is an interesting fish for very small ponds. It grows to 2.8 inches or less, and is more resistant to extreme temperatures of between 1.5-35C as well as to low dissolved oxygen. Of the two species, G. affinis is slightly more adapted to cold and holbrooki to heat. However, temperature tolerance varies depending on the population and its specific adaptations. Winter mortality of Gambusia tends to be high. Gambusia are closely related to the guppy, and are livebearers. They are probably most useful for very small ponds where the water can get very warm, such as container water gardens. One problem to bear in mind with Gambusia especially is that they have a history of being an invasive species. This means that you must be even more careful never to allow them near natural water bodies. Before you buy any pond fish, remember that you must not introduce them into wild ponds or anywhere they might be able to get into natural waters. Some of the above fish, especially Mosquito Fish and White Cloud Mountain Minnows, are a bit too good at adapting to natural waters. The Mosquito Fish has been the cause of native fishes in New Zealand having local populations eliminated, and it is also a threat to native dragonflies and other aquatic invertebrates. They are also illegal in some areas. Check the legality of owning fish such as Gambusia or WC Mountain Minnows before introducing them to your man-made pond.